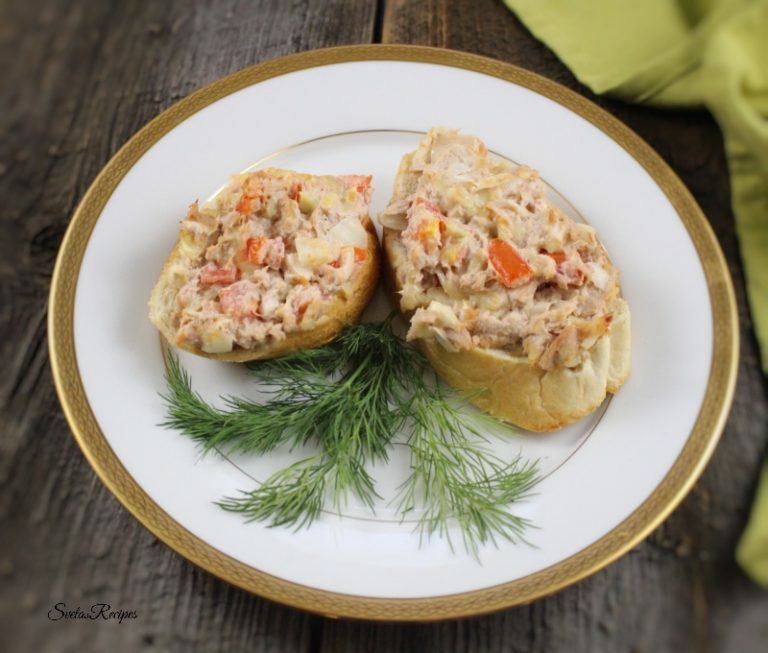 Crispy Tuna Bread is a multiple nationality recipe and taste phenomenal. I really recommend this recipe in the mornings for breakfast. You can also take it to work! 1.) 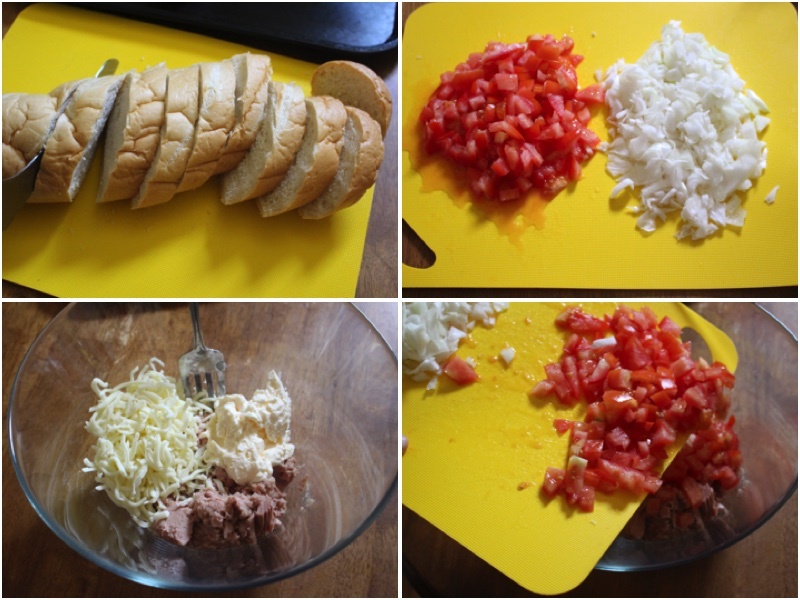 Slice your bread into thin slices. Dice your tomatoes and onions. 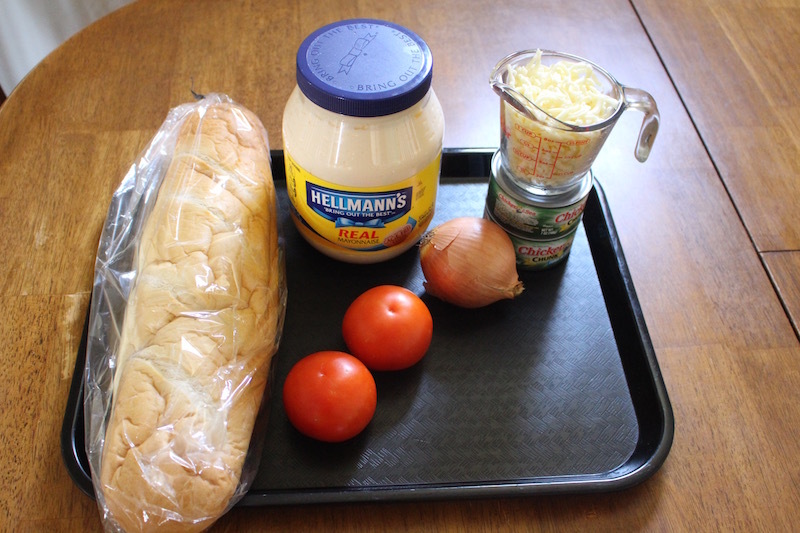 In a large bowl mix together cheese, tuna, mayo and add your diced ingredients. 2.) Using a fork Place some of the mixture onto each piece of bread. After Place the bread onto a greased pan (Sprayed with Cooking Spray.) Cook for 15 minutes on 400 degrees F. After Place on a serving fish and enjoy. Slice your bread into thin slices. Dice your tomatoes and onions. 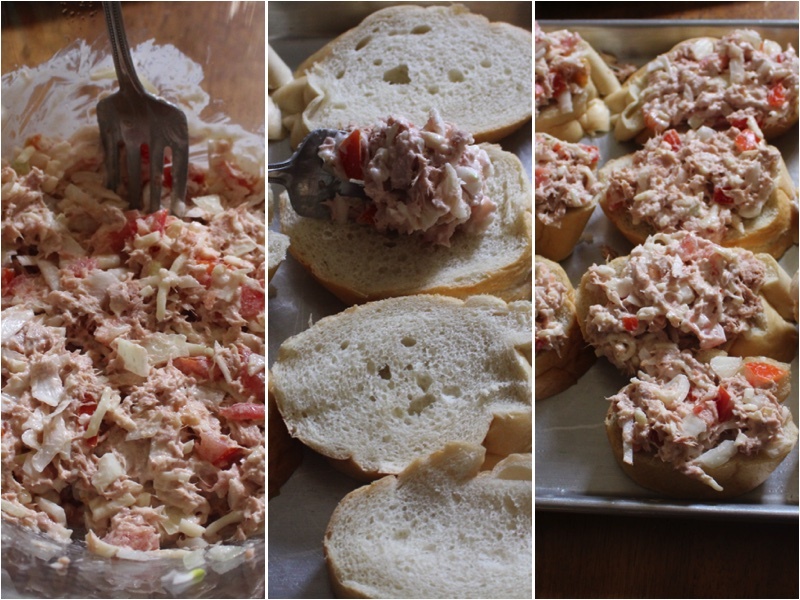 In a large bowl mix together cheese, tuna, mayo and add your diced ingredients. Using a fork Place some of the mixture onto each piece of bread. After Place the bread onto a greased pan (Sprayed with Cooking Spray.) Cook for 15 minutes on 400 degrees F. After Place on a serving fish and enjoy.